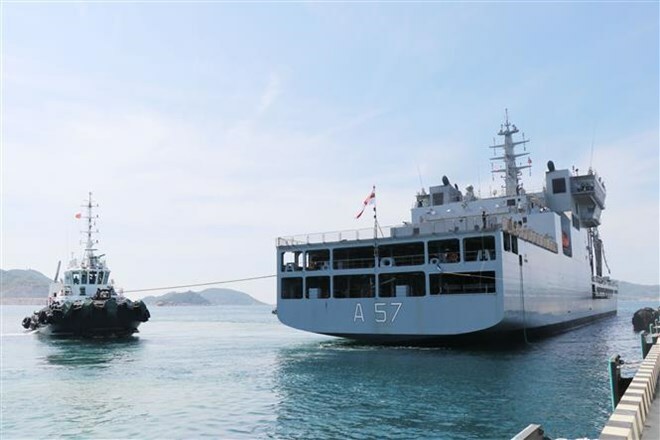 Khanh Hoa (VNA) – Two ships INS Kolkata and INS Shakti of the Indian Navy docked at the Cam Ranh International Port in the south central province of Khanh Hoa on April 13, beginning a four-day visit to Vietnam. The two ships with 735 members on board are led by INS Kolkata’s captain Colonel Hara Aditya. The visit is made in the context that the Vietnam-India comprehensive strategic partnership in general and bilateral defence ties in particular have been strengthened over the years. It is part of activities to realise agreements reached by high-ranking leaders of the countries’ armies, thus deepening bilateral defence cooperation and bringing practical results. During their stay, the crew members will pay courtesy calls to officials of the Khanh Hoa People’s Committee and the High Command of Naval Region 4. They will also join sport events with officers and soldiers of Naval Region 4 and visit the Vietnam Naval Academy. 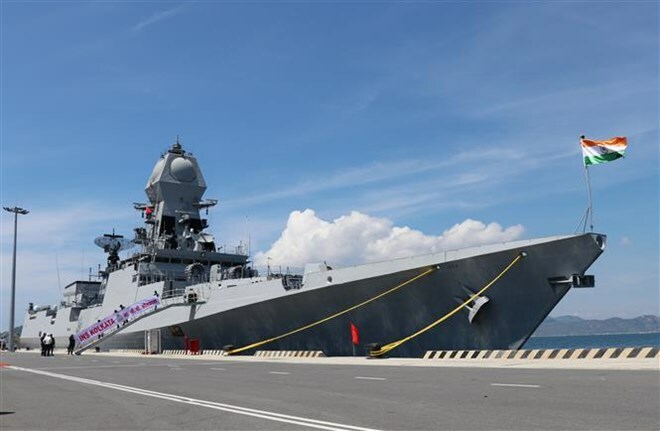 The Indian ships are scheduled to have a joint training with the Vietnam People’s Navy on formation, information exchange and maritime search and rescue.